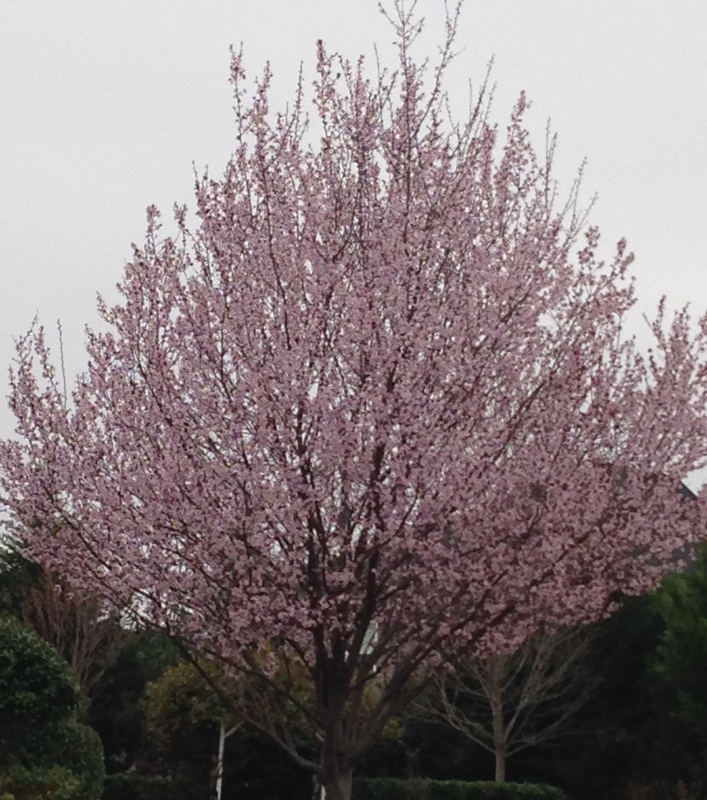 Spring sure looks more promising down your way! Forecast is good for gardening and tennis tomorrow. Think I’ll do a bit of both. Thanks, Bec. 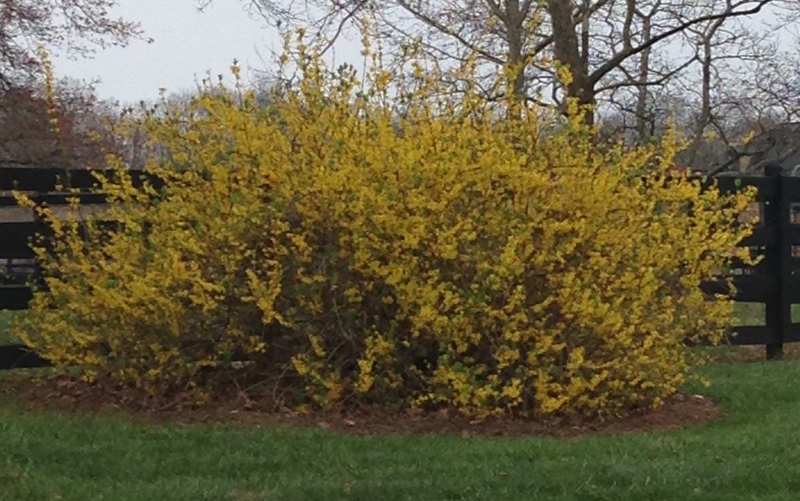 It is forsythia, not mine but along a road I travel frequently. I don’t think my garden is large enough for one, although I have always liked it. Thanks, Susie. It’s about time. What a wonderful welcome too! Our Forsythia should be flowering any day now. Thank you, Cathy. All these new colors around town are very uplifting.